BATON ROUGE — Last Thursday’s Homecoming ceremonies at Redemptorist High School included a special tribute to alumni who played football for the Wolves over the years. 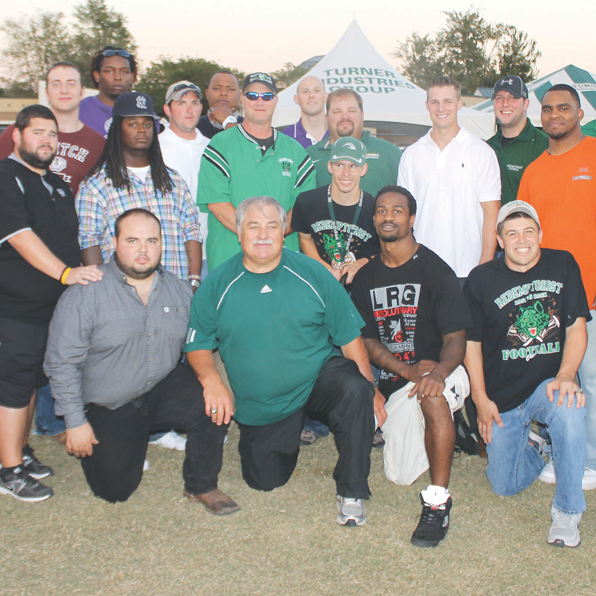 Prior to the game, members of the 2002 Redemptorist State Championship football team gathered for a reunion along with head coach Sid Edwards and other members of the coaching staff. The 2002 team was joined by other Redemptorist players who were coached by Coach Sid, who is now head coach at Central. Edwards coached Redemptorist to one state basketball and two state football championships.